Lakeshore East is easily becoming one of the hottest new communities for luxury condos, apartments, and townhomes. It is located downtown in the New East Side neighborhood, located just east of Chicago’s Loop business district, making it a walker’s paradise for workers. Lakeshore East features several of the tallest buildings in Chicago and may include a few of the tallest buildings in the U.S. The overall planned development, the park, and several of the individual buildings have won awards for architecture and/or urban planning. The buildings are planned for various types of residential use, including condominiums, apartments, or hotels. Due to the neighborhood’s proximity to both Lake Michigan to the east and the Chicago River to the north, many of the buildings are named with aquatic or nautical themes. As of August 2008, 1,500 condominiums have been sold and 1,200 apartments have been completed. Northwestern Memorial Hospital is less than 1 mile away and offers a variety of hospital services. Streeterville is located in downtown Chicago between Oak Street ( which turns into Lake Shore Dr) and Illinois, east of Michigan Ave.
Lakeshore East, also referred to as the New East Side, is located just east of The Loop’s business district. It is walking distance to Millenium Park, Michigan Avenue, and Grant Park. It is situated between Lake Michigan, Michigan Avenue, the Chicago River, and Randolph Street. The CTA Red Line and buses also run very close to Lakeshore East, making it extremely convenient to get around. Unique shopping and dining options are located right in the Lakeshore East community at the Village Market featuring Mariano’s Fresh Market, as well as numerous restaurants and service providers. Radisson Blu Aqua Hotel, which is part of Aqua Tower, offers a great spot for trendy drinking and dining opportunities, as well as Filini, a contemporary Italian restaurant. Living in Lakeshore East means you are steps away from top entertainment and recreation including the Theatre District, Museum Campus, Michigan Avenue and State Street shopping, and endless lake and riverfront attractions. Lakeshore East is in the heart of the world-class Millennium Park neighborhood, one of Chicago’s greatest achievements. The Lakefront provides the setting for an endless array of activities, from swimming and boating to bike trails and jogging paths. The nearby Lincoln Park Zoo, the Art Institute, the Field Museum of Natural History, the Museum of Science and Industry, the Adler Planetarium, and the Shedd Aquarium promote fun and learning for all ages. GEMS World Academy Chicago, located in the neighborhood of Lakeshore East, is the first preschool through 12 school in the U.S. from the international award-winning educator, GEMS Education. The first phase lower school offers facilities that combine generous classroom space, technology, a planetarium, media center, and a fitness center. The program provides students with international education program through the International Baccalaureate Organization (IBO). 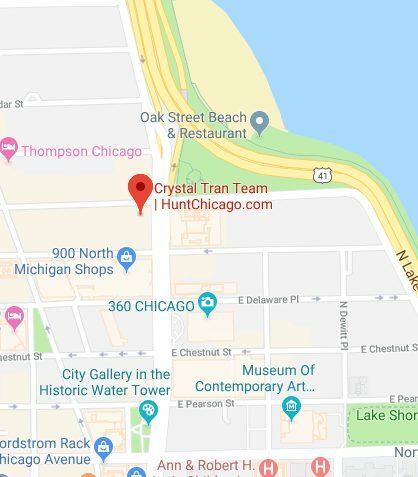 Crystal Tran is a Chicago real estate broker since 2011. 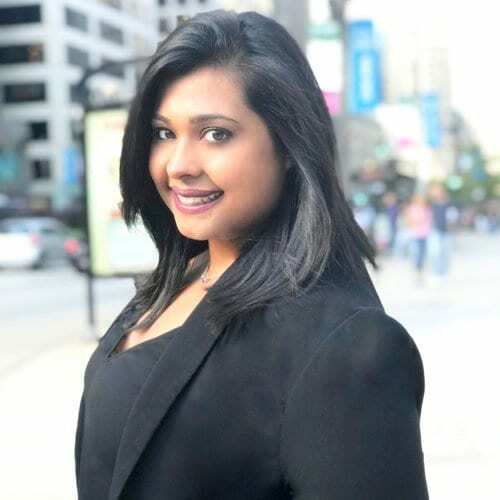 As a top producer at Berkshire Hathaway HomeServices, a Chicago real estate agency. With years of experience in residential sales. Lakeshore East is a great community for families, and working professionals. This area is extremely kid & pet friendly! Here is a facebook group for the Lakeshore East Moms!